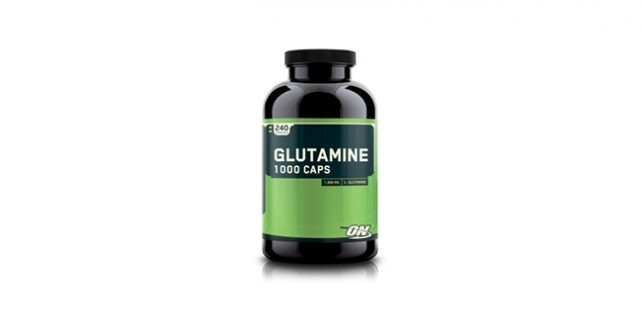 Optimum Nutrition L-Glutamine Review – Should you use it? Anyone who has tried muscle building supplements will tell you that the problem isn’t really with the supplement – it’s with choosing the right supplements to help you reach your goals. Ideally, bodybuilders take pre-workout and protein supplements to help them build muscles faster. The competitive ones, however, use a more advanced system, which involves post-workout supplements to help them reach their goals faster. To help bodybuilders maintain their competitive edge, Optimum Nutrition created their own version of a pre-workout supplement, with only one main ingredient – L-Glutamine – one of the most prolific supplement ingredients in bodybuilding and fitness. With its L-Glutamine product, Optimum Nutrition has shifted the focus away from the brand, and into the supplement. L-Glutamine is praised as the wonder nutrient for bodybuilding. In the right doses, L-Glutamine works as an anti-catabolic agent, and also as a precursor for growth hormones to help bodybuilders build muscle faster, while reducing the risk of muscle catabolism. According to Optimum Nutrition, its L-Glutamine product can adequately replenish lost L-Glutamine during workouts in order to optimize your muscle growth and recovery. It’s no secret that competitive builders use L-Glutamine to maximize muscle growth, but usually we see bodybuilders use the best muscle building supplements that combine L-Glutamine with ingredients like Nitric Oxide boosters, Creatine, Protein, and Deer Antler Velvet to optimize post-workout recovery. Stacking supplement ingredients is a great way to sell supplement products – and for a good reason. You get everything you need in just one serving. With supplements like Optimum Nutrition’s L-Glutamine, you’re forced to purchase other supplements in order to get the complete nutrition that your workout requires. Buying individual supplements to complete your supplementation requirements enable you to have a full control over the concentration of supplements you take, but it would also cost you more, and it would be a supplement regimen that’s harder to maintain. L-Glutamine is included in the best supplements for muscle building, but as a standalone product, it would only help you in one aspect of post-workout recovery. L-Glutamine is best suited in a stack, or a formula that has your complete supplementation in mind. Optimum Nutrition hits the right dosage per serving at 5 grams, and it would help you replace your L-Glutamine, but it doesn’t do much after that. By taking L-Glutamine, you’re reducing your risk of muscle catabolism, and you’re boosting your growth hormones, but it doesn’t do jack about recovery, strength, and endurance. If you’re planning to take L-Glutamine, better have it stacked with the best muscle building supplements that supercharge your recovery, like NitroGenix 365.